Aryan's Taj Resort is the 167th most popular hotel style properties in the area. Aryan's Taj Resort Hotel has a variety of room types to choose from. This 3 star property offers modern amenities and comfort in Agra. 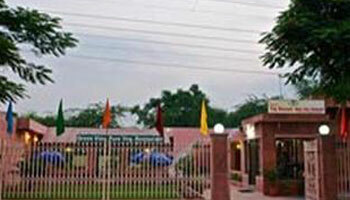 Aryan's Taj Resort provides Agra accommodation combining attractive rates and quality. Doctor on Call, Security Guard, Backup Generator, Parking, Laundry Facilities, Currency Exchange, Breakfast Services, Travel Counter, Room Service, Airport Transportation. Air Conditioning Room, Iron/Ironing Board, Attached Bathroom, Wakeup Calls, Cable/Satellite TV, DVD Player, Toothbrush/Razor on Request, H/C Water, House Keeping.